Content in the course is mapped to ANCC test outline to ensure success in ANCC certification in Gerontological Nursing (RN-BC). Gero Nurse Prep Alums have a 96% pass rate on the certification exam. 30 continuing nursing education contact hours by the UNMC CON CNE, an accredited provider by ANCC. 10 online educational modules, complete with content, assigned readings, learning activities, & numerous resources. Practice test opportunities including a simulated certification exam & test taking strategies & tips. Watch the video and learn about AHCA/NCAL Gero Nurse Prep course in nutshell. Take the first step and then enroll your registered nurses and invest in your future success today! 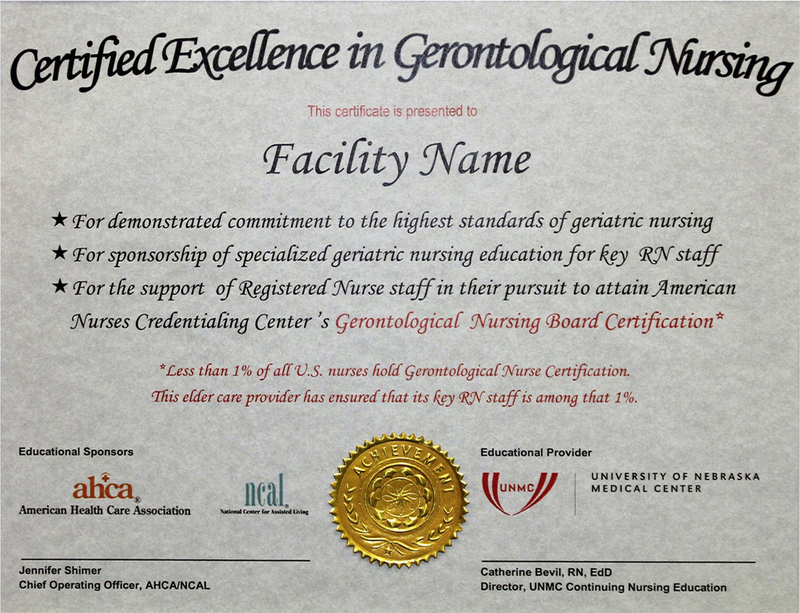 Gero Nurse Prep prepares RNs to attain board certification in Gerontological Nursing. Board certification is a badge of quality. 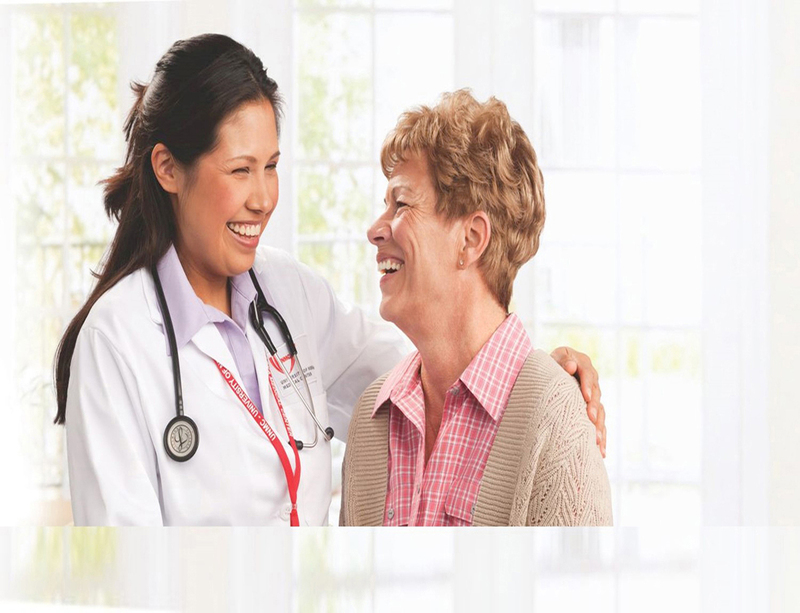 It signifies the highest standard of clinical and leadership excellence in elder care. 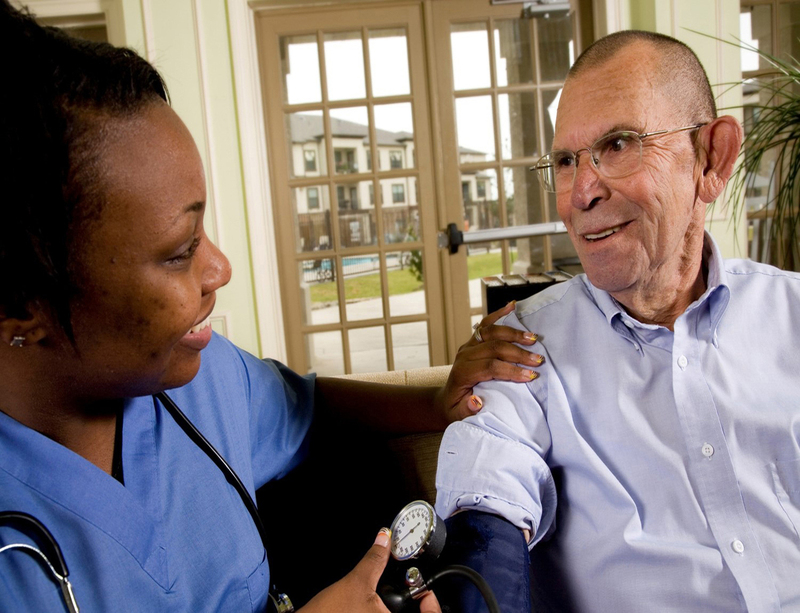 Gero Nurse Prep equips RNs with a broad array of clinical knowledge, skills, and concepts that are essential for quality gerontological nursing practice as tested on the ANCC Certification Exam. Facilities that employ certified nurses have demonstrated fewer patient complications - such as infections, pressure ulcers, injury from falls, and adverse reaction to medication . Gero Nurse Prep is a wise investment in the long-term health of your facility. Reap these benefits: better CMS Quality Star ratings, lower RN staff turnover, ongoing dividends related to higher quality of care. Gero Nurse Prep equips RNs with a broad array of clinical knowledge, skills, and competencies that lead to better quality care and better patient outcomes. Ensuring happier RNs, residents, and families. Sponsoring RNs in Gero Nurse Prep leads to board certified RNs (RN-BCs) on staff. Referring organizations put more trust in facilities that employ RN-BCs. Get answers to these questions: Why Gero Nurse Prep? What benefits can Gero Nurse Prep and board certification provide? Who benefits from having a board certified RN on staff? It's all about superior care for seniors. Check out the video to find out more about this special online course created to train RNs for board certification in Gerontological Nursing. Find out what the course looks like! Get a glimpse of the online modules, a sample of a few of the interactive learning activities, and special features that you can expect from Gero Nurse Prep. Support the AHCA/NCAL Quality Initiative - Sign up your RNs today! 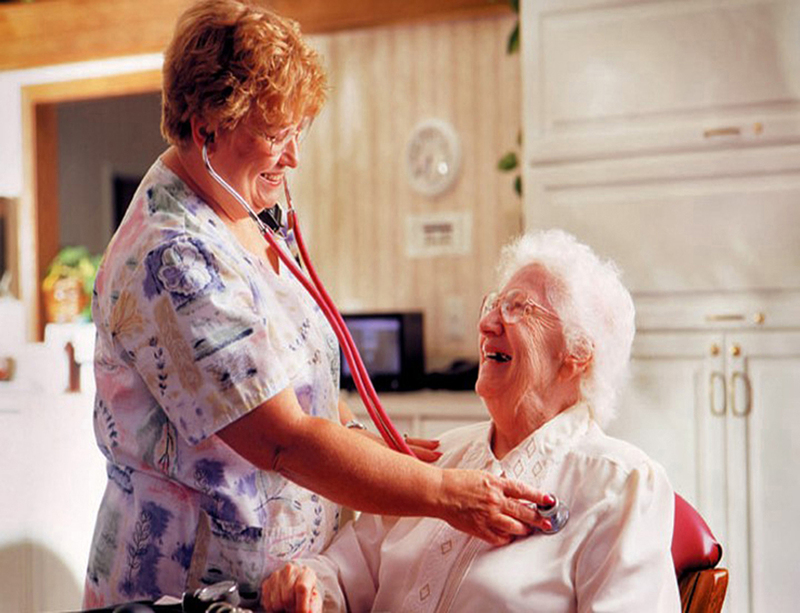 Those who work most closely with residents are at the core of providing quality care and achieving quality outcomes. Research shows that satisfied and happy staffs provide better quality care and contribute to greater quality of life for the residents in skilled nursing centers. With a more satisfied, well-trained, and committed staff providers see increased retention rates and fewer work-related accidents and injuries, all of which contribute to better overall performance of the center. Gero Nurse Prep can help nurses feel more confident and stabilize turnover. Gero Nurse Prep can help address all four quality initiatives set forth by the AHCA/NCAL, based on CMS quality indicators. Gero Nurse Prep remains steadfast in assisting skilled nursing care centers in continuing to improve the quality of care provided to elders. 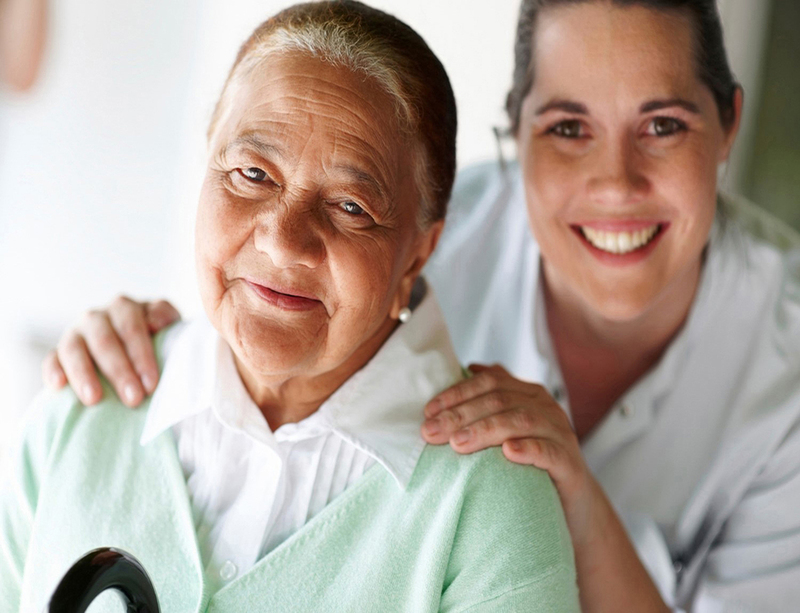 We strive to promote a culture of quality for the long term and post-acute care sector. The map below displays those locations who have made the commitment to quality and have participated in the Gero Nurse Prep course. Apr 18, 2019 - ANCC Board Certified RNs can make a big difference! Apr 16, 2019 - Demotion Day is April 24th. Apr 11, 2019 - CMS Updates PDPM Materials, Including Fresh FAQs. Apr 02, 2019 - The Bottom Line - Get Paid More! Glad I took the course. Knowing learners have a 96% success rate gave me confidence. The main thing the course did was to give me self-confidence in geriatric nursing. I’m taking back several ideas for improvement and a renewed sense of motivation. I was extremely pleased with the course itself & how well it prepared me for the ANCC exam. 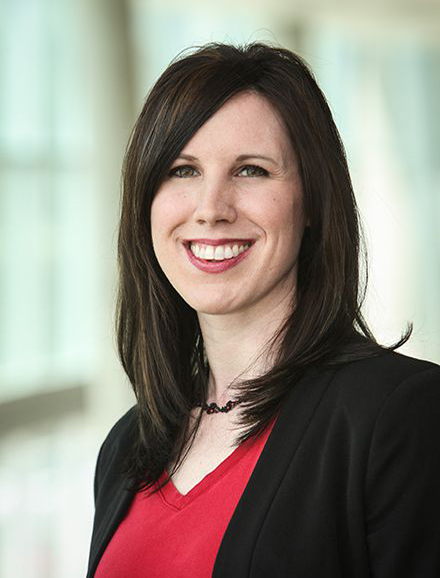 Dr. Keeler received her baccalaureate degree in nursing from the University of Massachusetts in Amherst, MA, and her doctoral degree in nursing from The University of Nebraska Medical Center in Omaha, Nebraska. 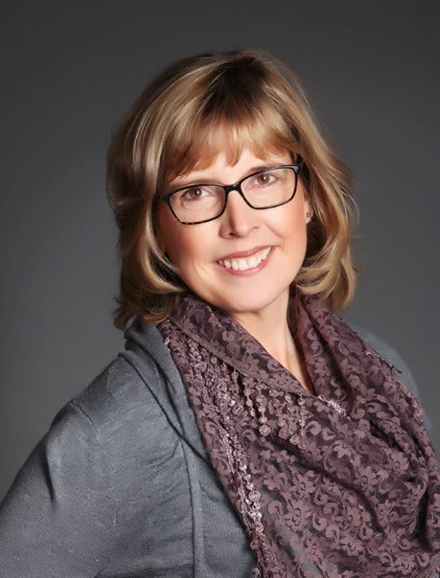 Dr. Culross received her BSN from Salisbury University in Salisbury, MD, her MSN from Rush University in Chicago, IL and her PhD in Gerontology from the University of Nebraska, Lincoln. 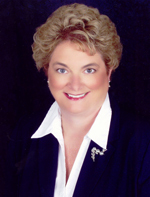 Dr. Joyce Black is a Professor with the UNMC College of Nursing. She has taught undergraduate students basic concepts, medical surgical nursing and ICU (Intensive Care Unit) nursing. As the nation's largest association of long term and post-acute care providers, AHCA advocates for quality care and services for frail, elderly and disabled Americans. Our members provide essential care to approximately one million individuals in 11,000 not-for-profit and proprietary member facilities. AHCA represents the long term care community to the nation at large - to government, business leaders and the general public. We serve as a force for change, providing information, education and administrative tools that enhance quality at every level. NCAL is the assisted living voice of the AHCA. Its mission is to lead the assisted living profession through public policy advocacy, knowledge, education and professional development.NCAL is dedicated to promoting high quality, principle-driven assisted living care and services with a steadfast commitment to excellence, innovation and the advancement of person-centered care. The philosophy of assisted living is to provide care and services that respect resident choice, dignity, and independence in a home-like setting. The UNMC CON CNE has been accredited as a provider of continuing nursing education (CNE) by the American Nurses Credentialing Center’s Commission on Accreditation since 1980. In 2012, CNE was first awarded accreditation with distinction, the highest recognition awarded by the American Nurses Credentialing Center’s Accreditation program. Our mission is to create engaging CNE products in Nebraska and around the globe using state-of-the art technologies and innovative educational modalities.